Smallest type of heron. Identified by tiny size and, at all ages, conspicuous pale covert-panels contrasting with black flight feathers and dark back. 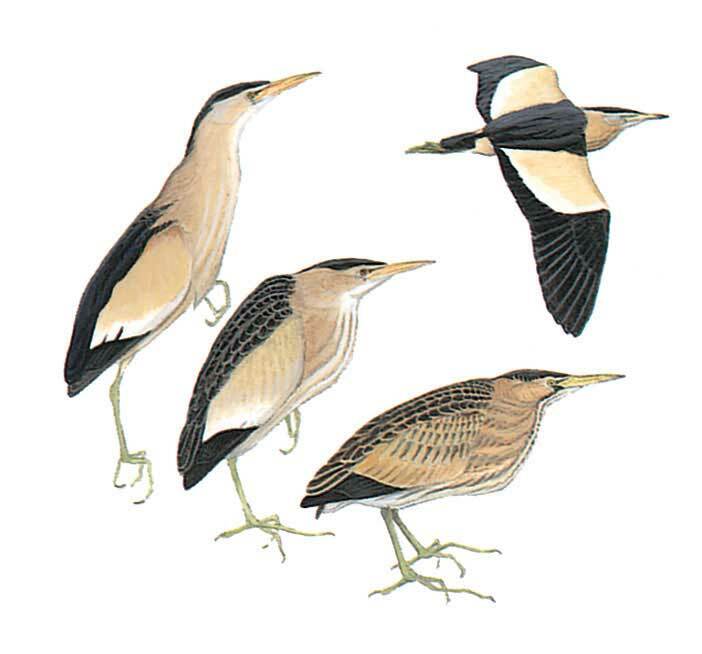 Female resembles male but duller with more rufous tinge and buff streaks on underparts. Juvenile more boldly streaked buff and brown with duller, streaked covert panels. Most often seen in flight, when flushed, usually flying a short distance on jerky wing beats before diving into cover.